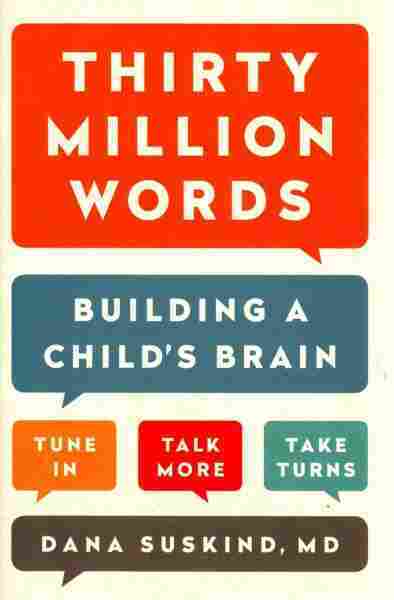 The Surgeon Who Became An Activist For Baby Talk : NPR Ed The new book by surgeon Dana Suskind, Thirty Million Words: Building A Child's Brain, explores the importance of constantly talking to our kids, even when they're too young to talk back. It's not just baby talk. Any kind of talk with young children — especially if they're too young to talk back — will do. 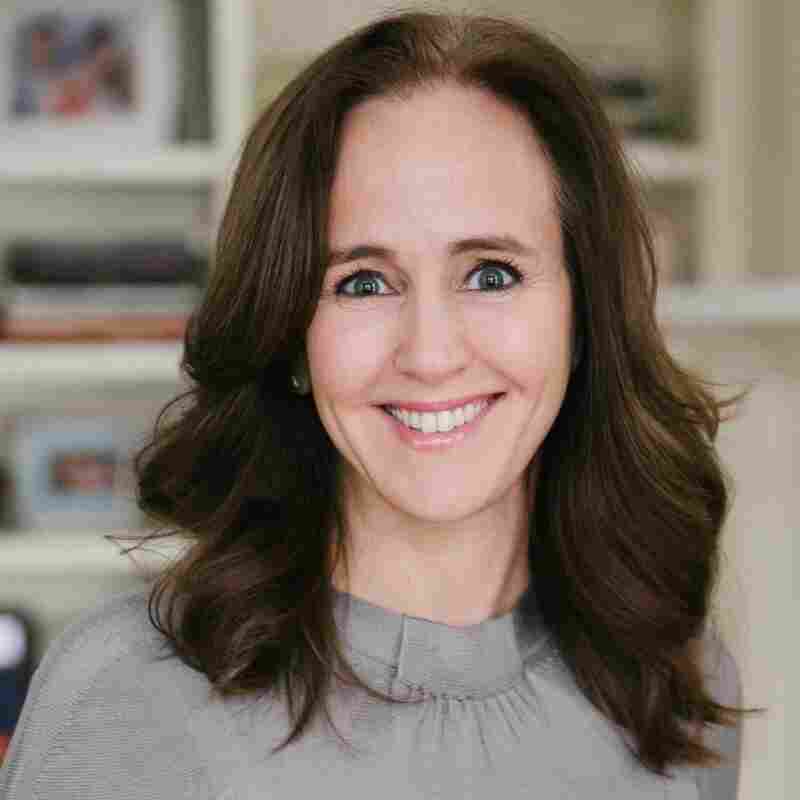 Because talk is vital to a child's brain development, says Dana Suskind, who found her passion for literacy in an unlikely place: the operating room. As a surgeon, Suskind performed cochlear implants at the University of Chicago. The implant is a remarkable marriage of medicine and technology that can help even profoundly deaf children hear. But Suskind noticed that her young patients went on to develop language skills at wildly different rates. Some reached or surpassed grade level. Some didn't. Why? In Suskind's new book, Thirty Million Words: Building A Child's Brain, she explains her personal journey toward the surprising answer: The kids who thrived generally lived in households where they heard lots of words. Millions and millions of words. The kids who received cochlear implants but struggled to develop language often did so because their parents didn't talk to them as much as their growing brains required. Suskind writes, "without that language environment, the ability to hear is a wasted gift." And so the surgeon became an activist. For talk. I spoke with Suskind about that journey and her Thirty Million Words Initiative. Can you explain what you mean when you talk about the 30 million word gap? The 30 million word gap comes from a very famous study that was done probably about 30 years ago by Betty Hart and Todd Risley, where they followed a group of children between 0 and 3 years old from all socioeconomic backgrounds. And basically what they found, by the end of age 3, children from low-socioeconomic backgrounds will have heard 30 million fewer words than their more affluent peers. And this number itself was correlated not just with differences in vocabulary but also differences in IQ and test scores in the third grade. Why does it seem so closely correlated with parents' socioeconomic status? The reasons are multi-faceted. Certainly background — how you were raised. In some families it's prized to be seen and not heard, especially in some low-income families. Number two, the stressors of poverty can't be underestimated. If you have unstable jobs or child care or home life, certainly that's going to impact your bandwidth for talking. But there's another important area that we're really focusing on: this idea that many families haven't been exposed to the powerful science that shows that their language is the key architect for their children's brain growth. Our focus is empowering parents with that knowledge. The most stark findings of Hart and Risley were really the differences in affirmations versus prohibitions. The difference between "get down, don't do that" versus explaining "we need to pick up these blocks because we're going to go out and play." There was a huge difference along socioeconomic lines. Not only does that impact children's language development, but it can often be related to toxic stress which impacts children's ability to learn as well as their own view of themselves. And we say, you know, if you spend your life — from home to school and into society — hearing over and over again that you're not good enough, that's certainly going to impact you to your core. What's happening in the brain from ages 0 to 3 when parents really need to be talking to their kids? Why is talk at this age so important? In the first three years of life, you'll have no more rapid and robust brain growth than during that time. It's when 80 to 85 percent of the physical brain develops. We're all born with 100 billion neurons, but those neurons are meaningless without those connections. And what results in those connections? It's really about parent talk and interaction. The brain, unlike any other organ, is pretty unformed when you're born, and it's completely dependent on this environmental input: parent talk. So that's why, in your first three years of life, you're basically building the foundation for all your thinking and learning through parent talk and interaction. ... Because hearing is not really about the ear but the brain's process. And, as the child gets older, the brain begins to prune away connections that are not used as much. And what happens is, if it hasn't heard sound, it starts pruning away those important connections. Why is it that most of the money that federal, state and local governments spend to reduce the achievement gap is spent after kids leave this precious 0-to-3 period? [At that age] we're talking about the family's and community's impact on a child's brain growth and academic trajectory. So it's a little more difficult to think about how to approach it. And [governments] have much more control when kids are in school. That being said, unless we truly understand the science and address this 0-to-3 issue, we will never be able to truly start moving the needle on this achievement gap. We have to reconcile the fact that we're going to have to rethink how we approach education in order to get the results that we want. With your Thirty Million Words Initiative, how do you propose doing that? We're really trying to take on this idea that, if early language environments — basically how and how much parents and caregivers talk and interact with their children — is fundamental to brain growth, then we want to see really a population-level shift. So that every parent, every caregiver, every educator, every policymaker understands how powerful language is in allowing every child to reach their genetic, intellectual potential. So we are developing science-based programs that really meet families where they are. 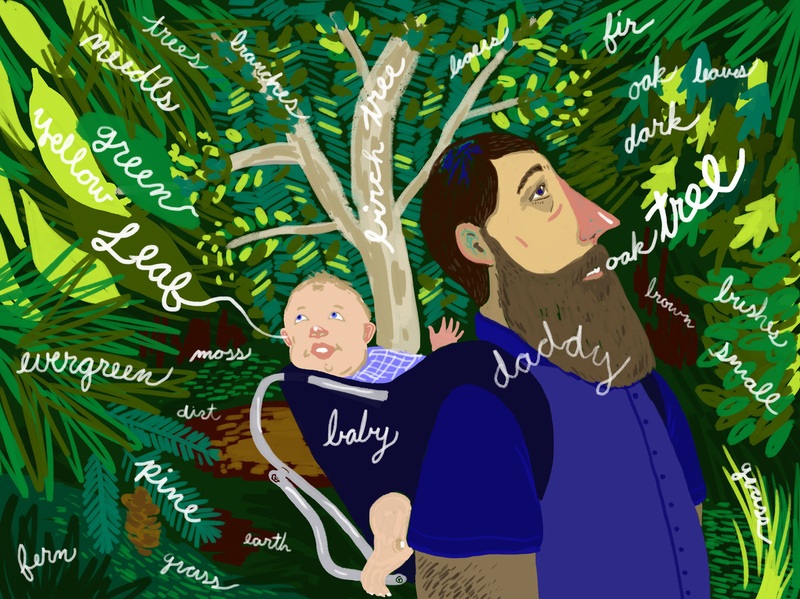 We're working on a maternity ward intervention where new mothers and fathers learn about the power of language. We're working in pediatricians' offices, home-visiting programs as well as children's museums and libraries. Our program is about getting this message and these science-based programs to parents — to really, hopefully, get it into the groundwater. What do you think it's going to take to make this a household idea: that kids need to hear a lot of words and they need to hear them early? One of my favorite parts of our program is called "Spread the Words." It's about parents becoming the agents of change within their communities. We not only translate the science so they can understand it and work with their children, but they become — I don't want to say evangelists, but agents of change. So they actively spread the words, and we trace out their social networks. And I tell you there is nothing more powerful than for a parent to understand how powerful they are. There's one simple, little prescription that seems to be at the heart of your program. Can you walk me through what you call the Three T's? Yeah, the first T is "Tune In." Really tuning into what your child's interested in, following his or her lead, or getting him or her interested in what you're doing. The second is "Talk More," which is really just talking using rich vocabulary, talking about the past and future. Lastly is "Taking Turns." Really viewing your child as a conversational partner from Day One. So many parents don't realize that, even before a child's first word, they are practicing how to have a conversation. So if you respond to every coo or babble, you are starting to help build that ability. ... Until I started doing this research, I think I looked at parent-child interaction as a throwaway. But when you actually look at it, in the going back and forth, you can almost see the neurons in the baby's brain developing as you're taking turns in the social dance, if you will.